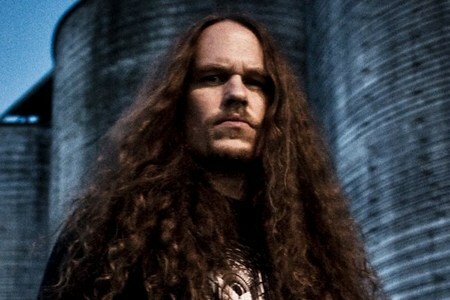 A real no-brainer to take a trip down to Brooklyn on a Thursday night to take in such a massive line-up of extreme metal, with both veteran and up-and-coming acts from start to finish, Hate Eternal‘s latest trek across the United States should be one of the most anticipated for many death metal fanatics. With Vital Remains, Black Fast, and Inanimate Existence in tow, it’s a strong bill that has more variety than you might give credence to. 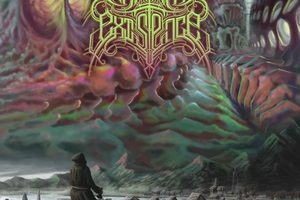 Arriving a few minutes before California’s atmospheric death metal champs Inanimate Existence hit the stage, things were off to a promising start. Having missed these guys on several occasions, it was a treat to finally see them in the live setting. 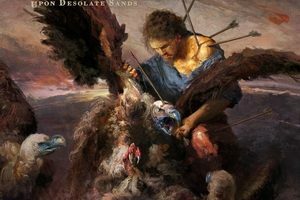 “Staring Through Fire” and “The Rune of Destruction” from A Never-Ending Cycle of Atonement all hit their marks – full of the same killer mix of atmosphere and technical riffage as on disc. But the biggest plus of the set was being able to catch a few new songs, including “The Shore of Writing Shadows,” “Pulse of the Mountain’s Heart,” and “Calling from a Dream.” The band is very content to keep upping their game, and if the rest of the album sounds like these three tracks, it’s going to be a must-hear. 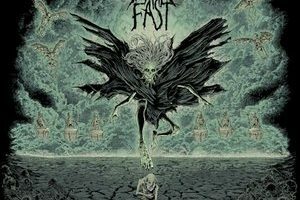 Next up was the breakneck thrash of Black Fast. A band that has caught a buzz since releasing Terms of Surrender last year on eOne. The band’s live act makes it perfectly clear how they have managed to generate such a quick following. Lots of live energy and stage presence, with all members of the band happy to shred incessantly while themselves thrashing about and headbanging. Opening with “To Propagate the Void,” it didn’t take long to win over the crowd, and the one-two closing combo of “I Conspire” and “Starve” left a lasting impression about how tight they can sound in the live venue, while making it quite clear that they are having a great time (and inducing it on the audience). The momentum should keep going for these guys as they continue to hit the road as hard as they have been over the past year. Vital Remains have always been a polarizing band, but it’s hard not to be impressed with the command they have over the stage. Vocalist Brian Werner worked the Vitus crowd into a frenzy, encouraging moshing and a wall of death at one point, and going so far as to get involved with it himself for a few moments (at one point he would even go into the bar portion of the venue for a few moments). It’s been nine years since the band has recorded a new album, but the band graced the audience with a new track (which fell in line nicely with the rest of their set), entitled “In a World Without God.” Some other highlights included “Hammer Down the Nails,” Where is Your God Now,” and “Dechristianize” as the band steam-rolled through their 45-minute set. Hate Eternal reached the stage with plenty of presence and energy. As a three-piece, there was plenty of space to move on the Vitus stage. Erik Rutan has a charismatic flair about him – just the right mix of intensity (as he violently headbanged while shredding the guitar) and passion, to lead the band. Frequently moving from the side to the center of the stage, it was an incredible sight to watch him command the stage and layer in the intricacies of the leads and flat-out speed of the riffs while his intense roars rang out through the venue. He showed a genuine appreciation towards the fans support of the band over the years (as well as a love of NYC). JJ Hrubovcak held down the bass and provided a similar dose of energy. Rounding out the line-up was temporary drummer Hannes Grossmann (Alkaloid, ex-Obscura), who was also a joy to watch – effortlessly pummeling the kit to the band’s notoriously fast and relentless speed. While last year’s excellent Infernus was the clear focus (including the title track, “Locust Swarm,” and “The Stygian Deep”), the band played a well-rounded set of older material as well, spanning all the way back to Conquering the Throne. The personal highlight of the evening was hearing “I, Monarch,” one of the band’s most crushing tracks, sounding completely massive live. There’s a reason why Hate Eternal has prevailed for such a long period – they are an impressive display of intensity, and live they are every bit as vicious and commanding as they should be.